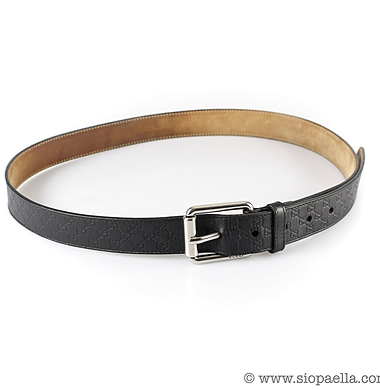 Siopaella Designer Exchange - Blog Siopaella Designer Exchange - Blog – tagged "alessandro michele"
Gucci was founded by a man named Guccio Gucci back in 1921, in the city of Florence, Italy. The brand got its beginnings by specialising in high end leather goods. 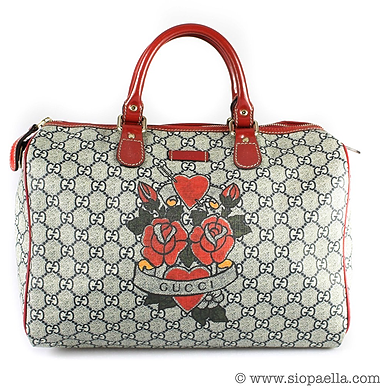 When Mr. Gucci was working in hotels in Europe, he was fascinated by the luxurious luggage the guests had. This inspired him to start his own brand, and so he enlisted the help of his three sons and the iconic brand was born. 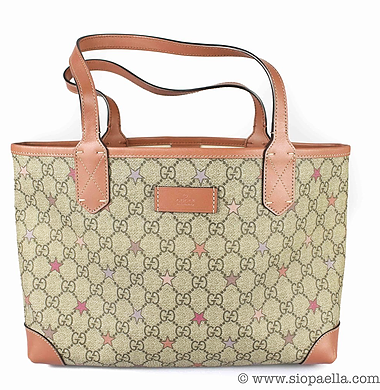 We've all seen the classic Gucci monogram print. The brand peaked in the 70's, but with the rise of influencer's and the return of simplicity, Gucci seemed to disappear off the it-girl's radar. Until now! Sales are better than ever. Thanks to a brand makeover from fashion directer Alessandro Michele, Gucci has made its way back into the hands of celebrities and stylish women worldwide. According to Business of Fashion, Gucci sales rose by 49.4% in the last two years! Chief financial officer of Kering, the company that houses the brand, told journalists "there are a lot of levers for Gucci to keep growing". Better yet? 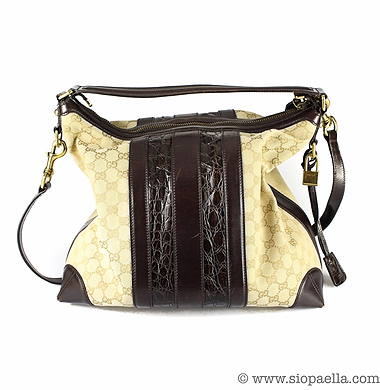 The resale price for Gucci is nearly the same as its retail price due to it's coveted nature. 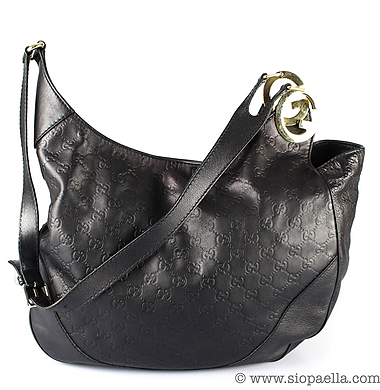 Consignors that sell their Gucci bags with us can get up to 70% of the resale of new Gucci. Alessandro Michele brought sequins, snakes, funky prints and colors to the Gucci revival. We're equally as tempted by the Boston Tattoo Heart bag as we are by the classic Monogram Hobo GG.. which is your favourite? Zip top closure opens onto a large compartment with two patch pockets and zipped pocket.